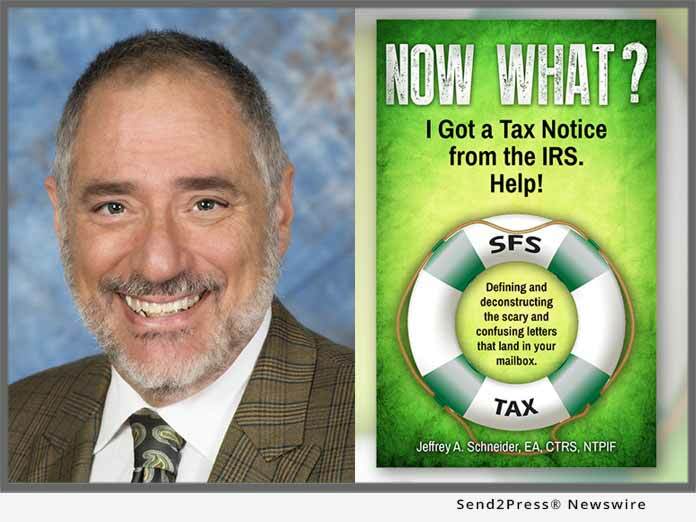 STUART, Fla., Mar 20, 2018 (SEND2PRESS NEWSWIRE) -- SFS Tax Problem Solutions Press announces the release of the eBook and Kindle Edition of "Now What? I Got a Tax Notice from the IRS. Help!" (B079XWL8P9) by Jeffrey Schneider. "Now What?" is also available in paperback (ISBN: 978-0692997154) and will be published in an audiobook version in June 2018.